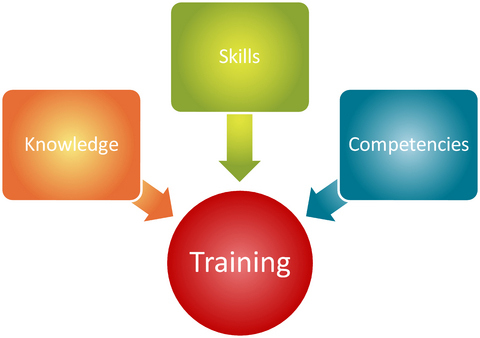 What is Training & Development: process to obtain or transfer #knowledge, #skills and abilities needed to carry out a specific activity or task. Human Resource training is not at all a complex process; with the right kind of supervisors, who impart training and their subordinates being enthusiastic about learning, it seems to be quite an easy job. But, some firms fail to achieve the desired productivity, in spite of good training programmes and availability of efficient workers. The biggest problem being, the failure to impart relevant training, by identifying and analyzing the training needs which too often is not the case. To be successful, firms have to adopt a systematic approach to training process. Training fills the gap between what someone can do and what he should be able to do. The first aim of training is to ensure that, as quickly as possible people can reach an acceptance level in their jobs. Training then builds on this foundation by enhancing skills and knowledge as required to improve performance in the present job or to develop potential for the future. 1) Identifying and analyzing training needs: Training should always fall in line with the #objectives of the organization to be achieved and it should be relevant to the context. Running training programmes just for the sake of running it, without defining the purpose, or sending the trainees for a workshop that has nothing to do with what the trainees really need to learn -all these are inappropriate methods of training and it makes the trainees lose their focus and direction. Another problem you will meet in the off-the job training is that, transferring the knowledge to action in the work place. If the objectives are not specified and appraised properly to the trainees, they will not be able to satisfy your expectations. So, a thorough analysis of what people need to know as trainees at different functional levels proves useful in saving much time and labor of the firm. 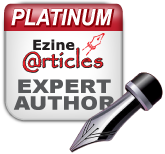 Knowledge -what the worker needs to know in terms of professional, technical, technological, commercial aspects. Skills-Manual, intellectual, perceptual, analytical or social which depends on the nature of the job. A top level employee needs to possess more analytical skills backed up by rational thinking, whereas a lower level employee is only expected to deliver his technical skills properly. Attitudes: The disposition to behave or to perform in accordance with the requirement of the work. This is one of the most important aspects that is neglected by most of the organizations by sheer oversight. If a customer is not properly received in a boutique shop or a restaurant, think what will be the response and reaction of the customer? If a worker does not pay due respect to his superior or boss, what are the chances of his career advancement? Whether it is a production environment or a market environment, firms must teach the trainees to conform to the guidelines regarding #attitude. Interactive video etc., which are a combination of on- the job and off-the job training exercises. 4) Implementing training plans: The duration of the training course depends upon how much learning has to take place. It is essential to put someone in charge-a professional training officer or a designated manager. 5) Evaluation of the training process by monitoring and analyzing the results: How far the objectives have been achieved; indicate the success rate and also feedback for suggestions from employees’ end is a vital input for improving the performance output. Training must be efficient as well as effective. It must aim at improved production and productivity. It should serve as a tool to empower workers in terms of knowledge, skills and #efficiency. Wal-Mart’s success in #Human Resource Management is keeping their workforce of 1.3 million from unionizing, while adding to it and going in for other HR activities to extend Wal-Mart’s success. Wal-Mart would not have been able to expand and have the same level of success without hiring and taking care of quality employees. Some of Wal-Mart’s human resource activities consist of employee advancement, employee #recruitment on college universities, and employee #training and development. Additionally, while most firms have slowed down their hiring of new employees, Wal-Mart has sought out new ways to attract employees to compensate for their further expansion over the next five years.